Today is a very special day – The new website is launched! It’s been a lot of work over a long time – but we did it! 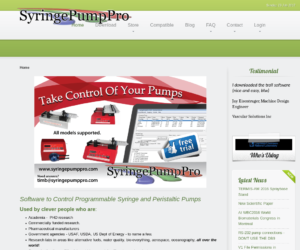 The new site is a complete tech upgrade from the old Joomla site which has run reliably for years. I need to thanks Glady’s for her help – she has chased my mad ideas and produced an attractive and functional site whilst I have tried to present her with the content. I haven’t migrated the Joomla accounts mostly because I wanted to loose the thousands of user registrations from folks trying to hack the old site – which they never managed by the way – but there sure were many attempts every day. If you used to have a login to the old site – you will need to create a new one.